Furla Copley Place: Your Invitation! 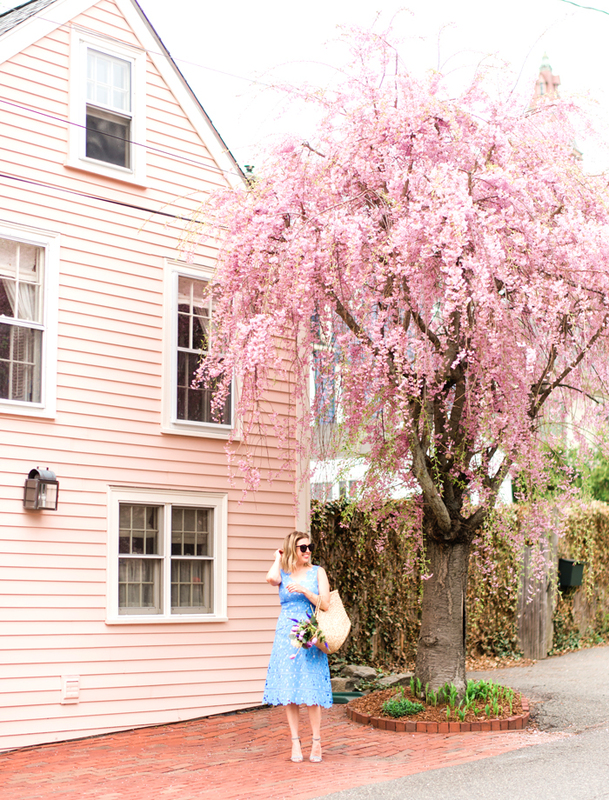 Hello, my name is Kristen and handbags are my kryptonite. Seriously. So I was more than a little pleased to see the beautiful new Furla boutique opening in Copley Place! Furla has long been a favorite of mine, both for their materials and craftsmanship, and for the variety of designs (running the gamut from their cheeky "candy" bags to luxe leather totes, and everything in between). It's hard to pick a favorite, so why not come and try them all? 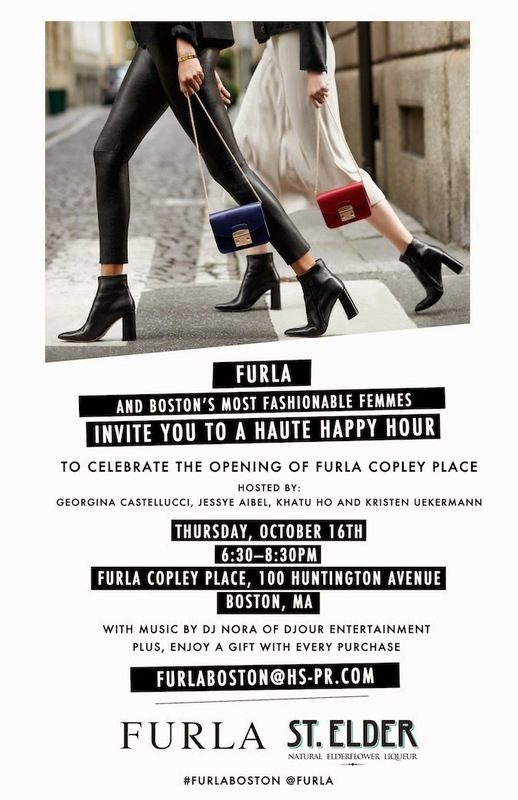 I'll be at Furla Copley Place on Thursday, October 16th, from 6:30-8:30pm for an amazing evening of cocktails, music and, yes, gorgeous Italian leather handbags. 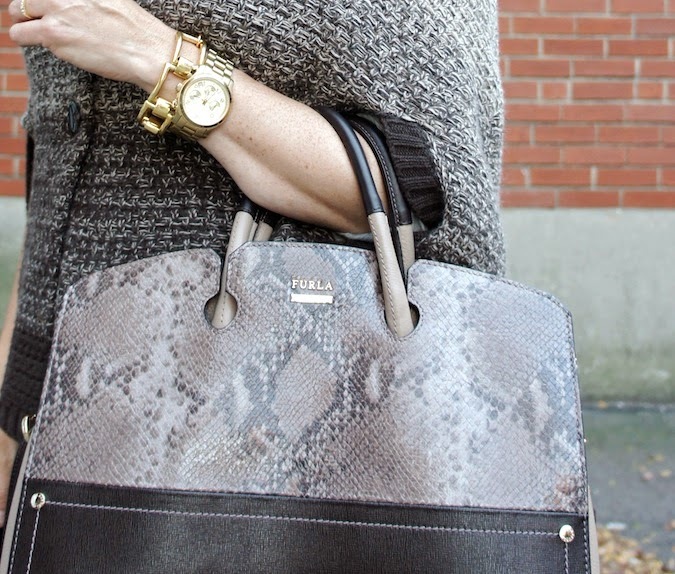 I'll help you find the perfect Furla bag - you know, the one that makes you weak in the knees. See you there! This post is presented by Furla. So into ponchos these days - really comfy! 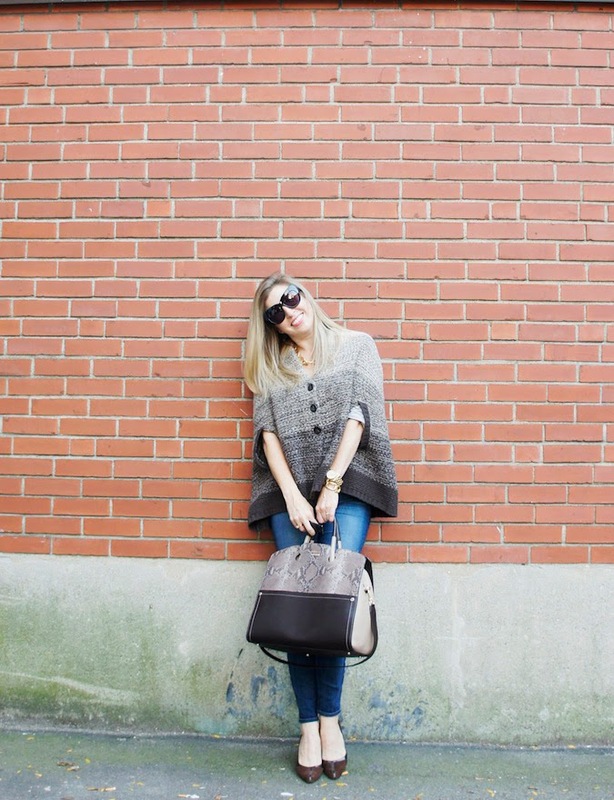 Love the poncho look! I'm so excited to try it myself. Hey, gotta love that knits are in style right now. Cozy AND chic? Yes, please!